One of actively developing trends in modern pharmacology is the use of the transcriptome analysis for drug repositioning. We have previously detected two molecular markers of relapses in patients with malignant breast tumors: ELOVL5 and IGFBP6. Poor prognosis is associated with low expression of these markers. Here we analyze the effects of simvastatin and a new potential proteasome inhibitor K7174 inducing expression of IGFBP6 and EVOVL5 on the proliferation of breast cancer cells MDA-MB-231 and DU4475. Compound K7174 potentiates the inhibitory effect of simvastatin on the proliferation of DU4475 cells characterized by low expression of ELOVL5-IGFBP6 pair, but not on the proliferation of MDA-MB-231 cells with high expression of these markers. Fujiwara T, Ikeda T, Nagasaka Y, Okitsu Y, Katsuoka Y, Fukuhara N, Onishi Y, Ishizawa K, Ichinohasama R, Tomosugi N, Harigae H. A low-molecular-weight compound K7174 represses hepcidin: possible therapeutic strategy against anemia of chronic disease. PLoS One. 2013;8(9):e75568. 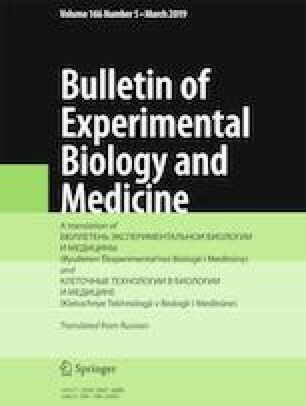 doi: https://doi.org/10.1371/journal.pone.0075568. Galatenko VV, Shkurnikov MY, Samatov TR, Galatenko AV, Mityakina IA, Kaprin AD, Schumacher U, Tonevitsky AG. Highly informative marker sets consisting of genes with low individual degree of differential expression. Sci. Rep. 2015;5. ID 14967. doi: https://doi.org/10.1038/srep14967.